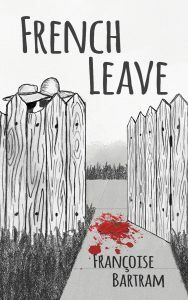 French Leave by Francoise Bartram is now available in print and digital editions from retailers worldwide. Find it on BarnesandNoble.com here or Amazon here, or ask/search for it at your favorite retailer, online or in store. This cozy mystery follows Claire, a spunky but bored ghostwriter living in a small city in Ohio. Francoise Bartram was born in France. She lived near Paris until she moved to the United States to join her husband, a member of the U.S. Air Force. She now lives in Columbus, Ohio. The manuscript and book concept were developed with assistance from Brad Pauquette. The cover design was crafted by Cate Labish.